RokQuickCart extension is used in Joomla for creating online stores. It has already been used to create retailing sites. Quite often, the administrators of the online stores face the slow loading of web pages. The common reason for that is large number of multimedia files loaded on the resource. It can be video files, pictures of products, web page design images. Apart from occupying much server space they also require a high speed Internet connection from customers. Moreover, the loading of those images on users’ devices might cause slowing down of Internet connection speed. To reduce the loading time of web pages in RokQuickCart it is necessary to optimize its images. Additional software should be installed as the extension does not solve the problem of image optimizing. OptiPic plugin for optimizing images RokQuickCart will help in increasing the web page loading speed. It uses an algorithm to search for technical information in the image files. Users hardly need that kind of information which nonetheless can take up to 90% of the total image size. Image optimization in RokQuickCart with the help of Optipic plugin involves the removal of unnecessary information. Reducing the image size helps the web page of the online store load faster and thus free more space on the server hard disk. What is the benefit of image compression in RokQuickCart? Plugin for image compression in RokQuickCart has been tested on many Internet stores. The plugin provides the increase of web page loading speed by 2-3 times. Users can see the big difference when accessing the necessary information. OptiPic compresses the website images in RokQuickCart automatically. It requires the e-store administrator involvement to set up the plugin only once. Image compression in RokQuickCart runs in the background and it does not require much CPU time or RAM. The website will continue its regular performance even during the OptiPic’s operations. How can optimizing images for RokQuickCart speed up a site? 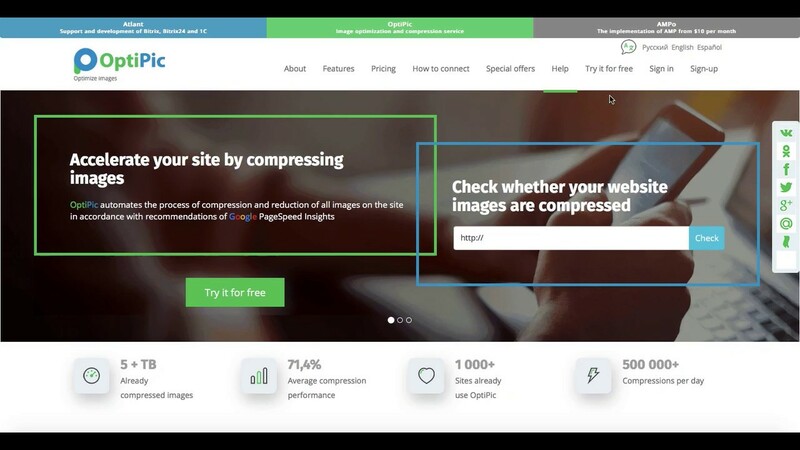 How to get started with OptiPic service for RokQuickCart for image compression?